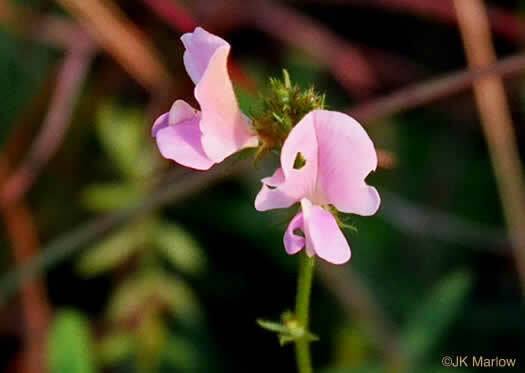 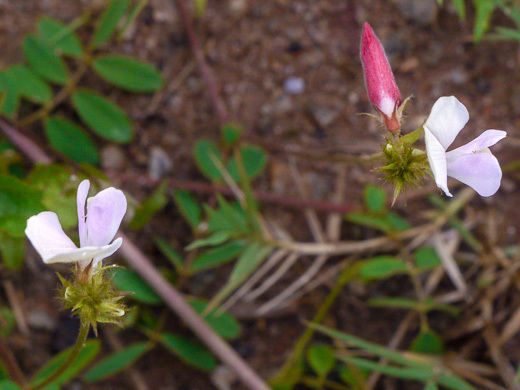 Flowers white at first, soon turning pink, then reddish purple, per Wildflowers of the Southern Mountains. 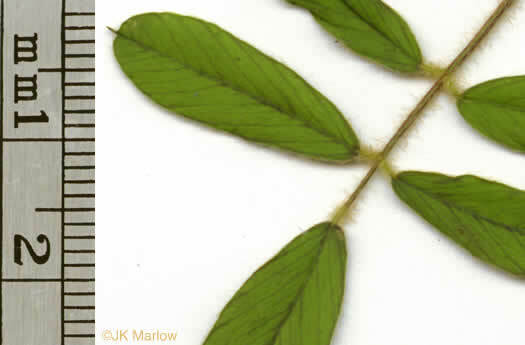 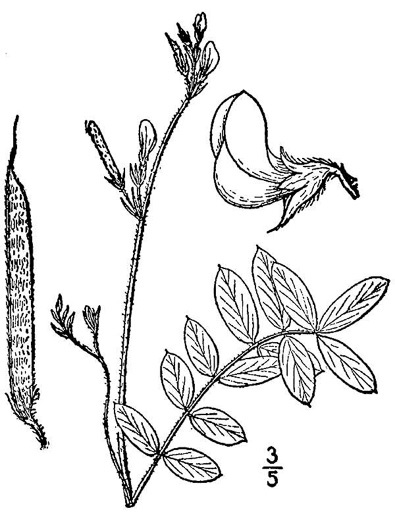 Plants conspicuously tawny long-pilose with rusty brown hairs, per Weakley's Flora. 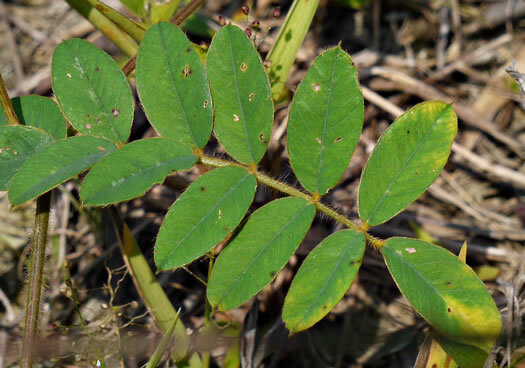 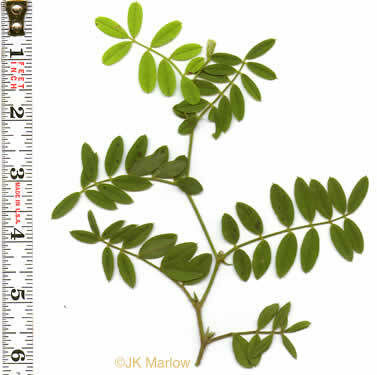 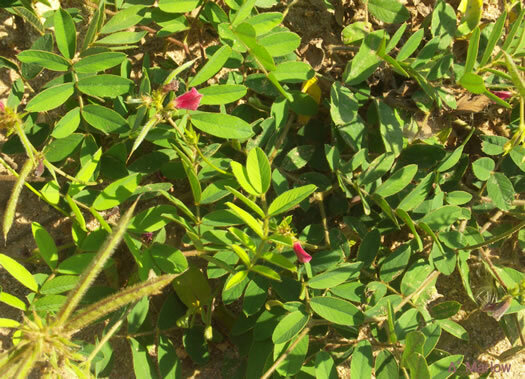 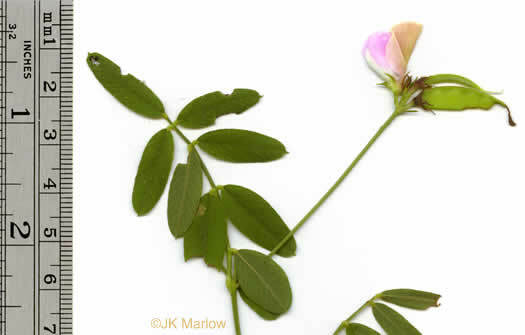 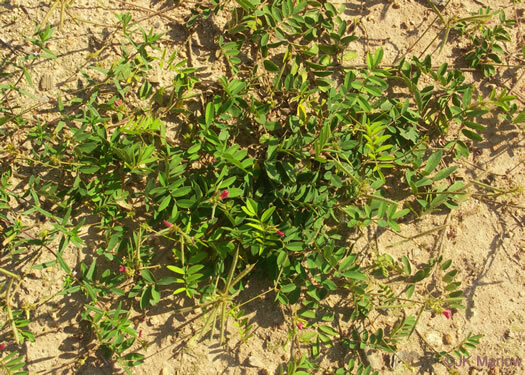 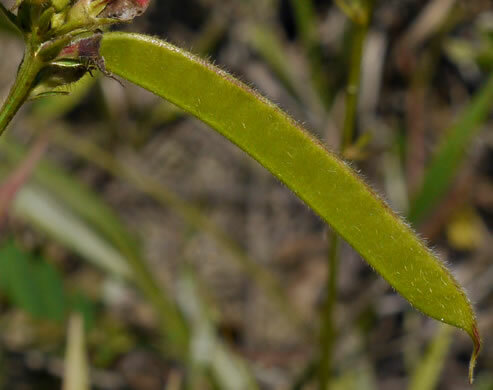 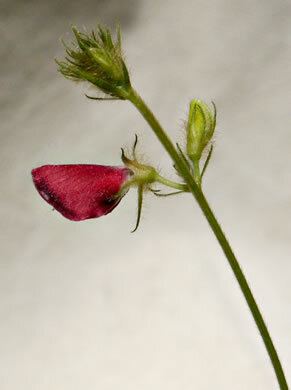 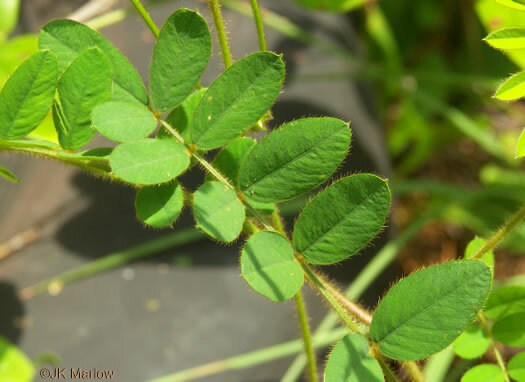 Legume 3-5cm long, 4-6mm broad, sparesly to moderately pubescent, per Vascular Flora of the Carolinas. 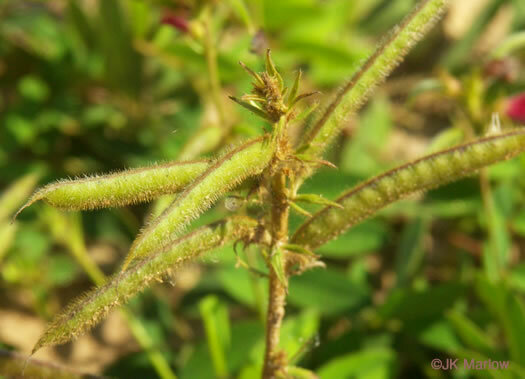 Calyx 6-7mm long, sparsely to more typically dense pilose or villous, per Vascular Flora of the Carolinas. 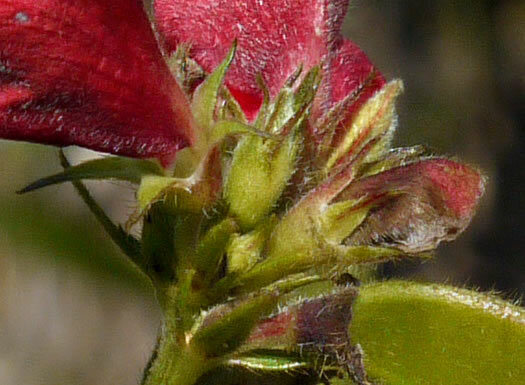 Few-flowered racemes at the ends of long slender axillary or terminal stalks, per Wildflowers of the Southern Mountains. 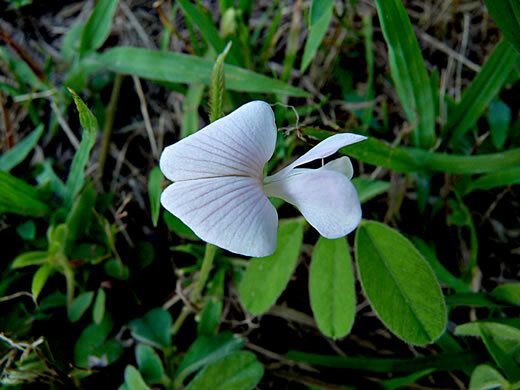 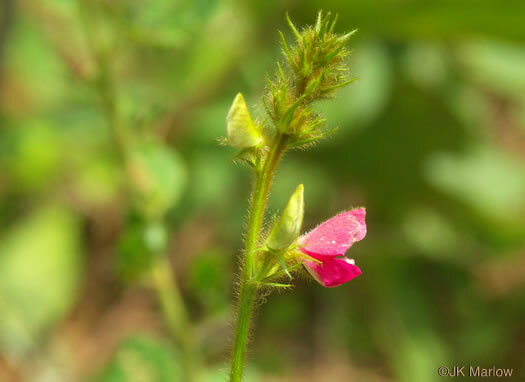 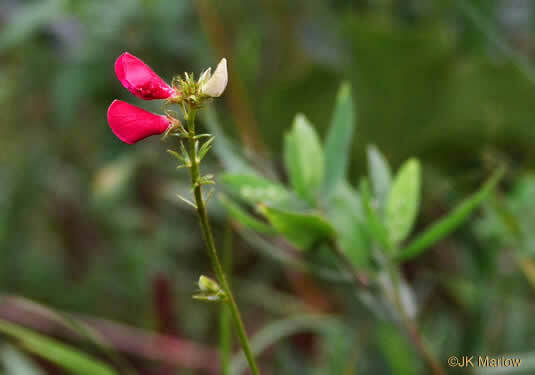 Flowers initially white, turning overnight to pink and maroon, per Forest Plants of the Southeast and Their Wildlife Uses.